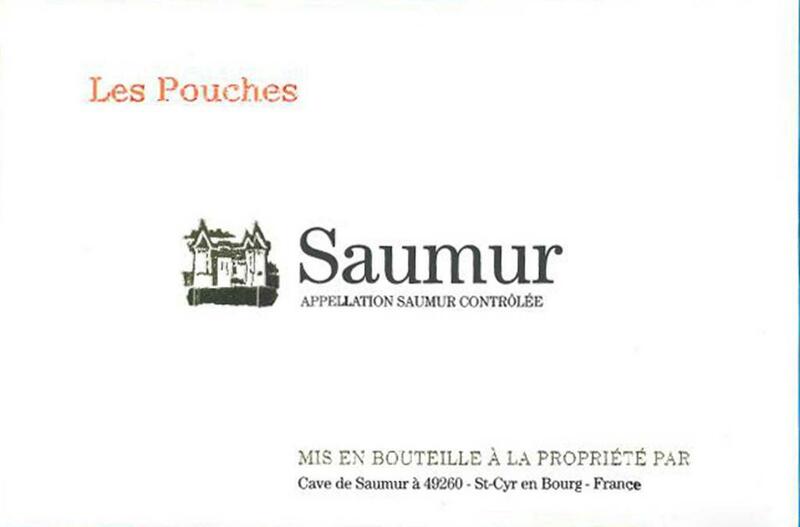 Saumur Blanc "Cuvée Les Pouches"
There are several chalky layers from base of the Méron slopes up to the Loudun fault. Soil with clayey and silty sand. The very hard limestone soil contains light blue flint. It has good drainage capacity and is conducive to early ripening. Crushing and destemming. Cold settling for 24 hours. Vinification at low temperatures (17 to 19°C) for 2 weeks. Racking and aging in stainless steel tanks on thin lees for 3 to 4 months. Bottled in cellars dug out of tufa,it continues to age in bottle in these ideal and natural conditions protected from the light and the temperature changes. Straw-yellow colour with green highlights. Intense, engaging nose of vineyard peaches, lemon zest, and fresh grapefruit - a veritable fruit basket of aromas. The wine starts out straightforward on the palate with fine lemon flavours. The structure is tight and accompanied by fresh grape flavours. The smooth, long aftertaste is reminiscent of vineyard peaches. This wine is very enjoyable with fish in a sauce, Asian food, goat's cheese, and duck, or as an aperitif.